Christian Pulisic's late goal lifted Dortmund into the top four for the first time since Matchday 11. 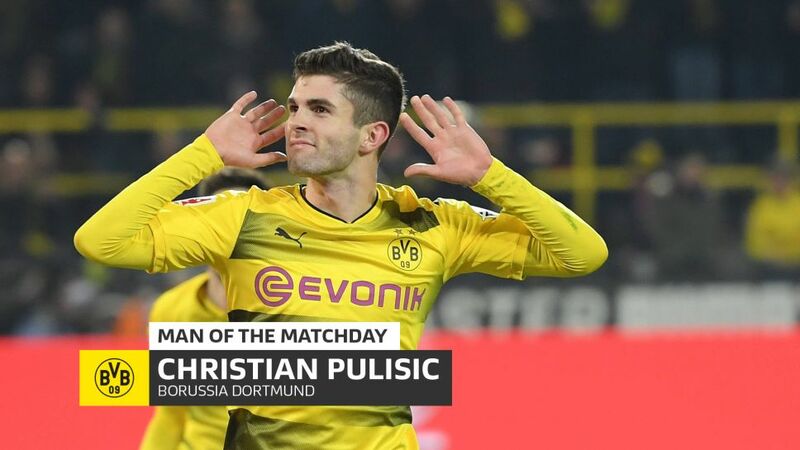 Just when it appeared Borussia Dortmund would have to settle for a share of the spoils against Hoffenheim on Matchday 17, up popped USMNT starlet Christian Pulisic to steal the headlines with a goal his colleague Pierre-Emerick Aubameyang would have been proud of. Latching onto a perfectly-weighted pass from Shinji Kagawa, the 19-year-old calmly lifted the ball over the onrushing Oliver Baumann before sidefooting into the unguarded net, completing a 2-1 victory which extends Peter Stöger’s winning start to life in the SIGNAL IDUNA PARK hot seat. The Hershey-native would be the first to admit he has not scored as many goals as he would have hoped this season - Saturday’s late winner was only his third league strike of 2017/18 - yet Pulisic has been a pillar of consistency for Dortmund throughout a trying campaign, starting 14 of BVB’s 17 league encounters and proving a handful for opposition defenders with his pace and quick feet. His stellar performances for the USMNT in 2017 may not have been enough to help the Stars and Stripes book their place at the 2018 FIFA World Cup, but his efforts did not go unnoticed by his international team-mates, who recently voted Pulisic the USA Men’s National Team’s Player of the Year.